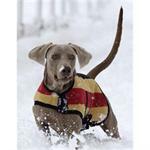 The classic Newmarket design has been applied to this super quality double bonded anti pill fleece that has excellant thermal & wicking properties. Heavy nylon material with reflective edges for night time safety. 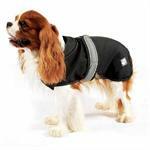 Full chest protector to help keep dry when walking through long grass etc. 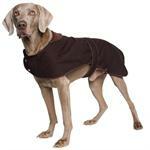 This superior quality waxed cotton dog coat is designed for wet and cold weather protection. It is impregnated with a fine covering of wax, the cloth acting as a water barrier and keeping the dog dry. 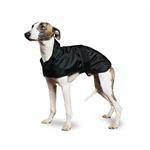 To fit Jack Russell / Border Terrier. 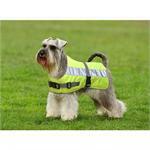 Keep your dog safe and warm this winter with our new Hi-Vis Dog Jacket. This lightweight jacket is made from ‘Flectalon’ and a high-visibility fluorescent fabric with reflective banding. 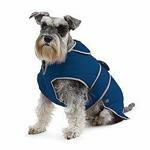 Produced with wadding sandwich to trap warm air and help fight the cold. 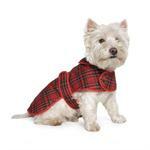 Traditional tartan pattern with wadding sandwich to trap warm air and help fight the cold. velcro chest and body straps for easy on and off.